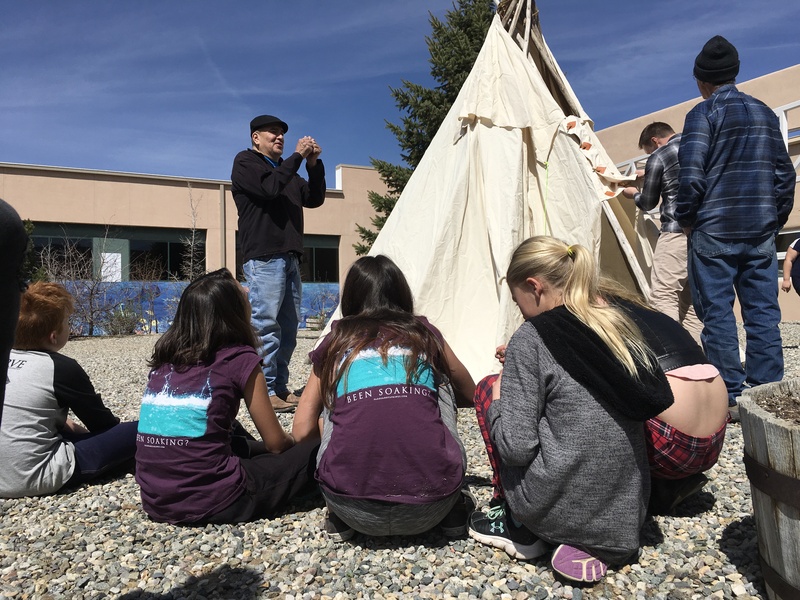 Particle Physics Meets Lakota Cosmology is an interdisciplinary partnership between STEMarts Lab, ATLAS Experiment at CERN, Quarknet-UNM and pilot school, Taos Integrated School of the Arts in Taos, New Mexico. Lead collaborators are Lakota Cultural Specialist, Steve Tamayo, CERN physicist Dr. Steven Goldfarb, Dr. Greg Cajete, UNM Professor of Native American Studies, Megan Avina Bowers, TISA teacher and arts coordinator and new media artist, Agnes Chavez. The team is joining forces to explore native science, western science and the arts as parallel ‘ways of knowing’ and understanding our place in the universe. Powerful new microscopes, particle accelerators and telescopes are revealing an interdependent relationship with the universe that is expanding our worldview. Only through open dialogue and interdisciplinary exchange can we begin to move toward a new worldview; one that combines the advances of the scientific method and technological innovations with native science as a life-sustaining ecology that is participatory and in balance with nature. A series of workshops, presentations and roundtable discussions serve as the platform for the research. T he goal of this R&D project is develop multisensory educational strategies and public outreach presentations that increase our sensorial understanding of advanced physics concepts, build appreciation for the significance of indigenous cosmology and expand our understanding and appreciation for diverse worldviews and their impact on our attitudes and learning process. This project is part of the Projecting Particles series started in 2010 whose mission is to use new media art to explore the important discoveries in particle physics that are expanding our understanding of who we are and our place in the universe. The student workshops build on the STEMarts model that has been field tested since 2009 as part of STEAM programming for middle and high school students. The new addition of community presentations for the general public are designed to share findings and initiate dialogue around this topic. This project would not have been possible without the generous support of the Martin Foundation,Taos Integrated School of the Arts, The Harwood Museum of Art, University of New Mexico, Northern New Mexico Community College, Biocultura and our key partners; ATLAS Experiment@CERN, Moving Arts, Quarknet, and the Paseo Project.